LABRIE Bordeaux Blanc Sec 2014: I loved this wine, partly because I really like Jonathan Maltus and his wonderful sense of what works with each batch he creates (or at least releases), and also because I real ly like dry white wines that don’t have heavy viscosity. This wine fits that category to a “T” with it’s really lively mouth feel and classic French appeal. Bordeaux is famous for its big Red blends and it surprised me to learn that the Bordeaux region of France grows more white wine grapes than red. 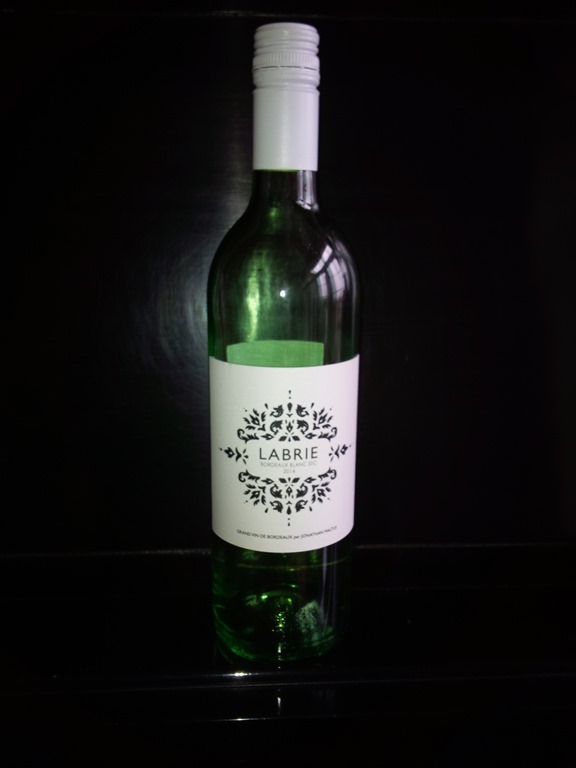 White Bordeaux usually combines Sauvignon Blanc and Semillon grapes but here Jonathan vinted this wine from 100% Sauvignon Blanc Grapes, giving it the hint of Gooseberry and the slightly astringent bite when it first hits the mouth. Being a big fan of Sauvignon Blanc, for it’s citrusy, gooseberry nose, I was a bit surprised to find that This wine contained no Semillon blend at all. 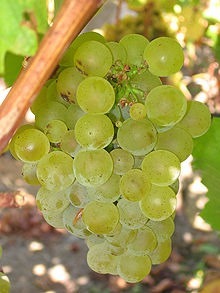 Its nose and taste hinted of being toned down from the sharpness of a pure Sauvignon Blanc. By the way for those that don’t know the word “Sec” it simply means dry or a product of a Secondary fermentation process. I did an extensive review of this wine in the Wine Reviews Section of this website, and on Jonathan’s Winemaker Page on the Naked Wines.Com website. If you are interested in trying this wine, I have bad news Naked Wines has sold out of this Vintage and it’s only available through them, but Jonathan is a prolific and storied French wine maker and you might be able to find some of his non-naked offerings through his website or even by asking your wine shop if they can find you some. I promise it will be worth the effort. This entry was posted in Craft Wines, France, Jonathan Maltus, Naked Wines, Sauvignon Blanc, Varietals, Wine, Wine Photos, Winemakers, Winemaking, Wines and tagged France, Jonathan Maltus, Naked Wines, Sauvignon Blanc, White Bordeaux, white wine, Wine, Wine Varieties, Wines. Bookmark the permalink. As always, a tantalizing look at a new to me wine. I’m curious, though. It seems each one of the wines I’ve learned about in this series are no longer available. I’d love to hear about some I might be able to find at my local spirits store and taste. Actually, about half of them are because I buy them and put them in my cellar for a couple of years to open up. Next weeks will definitely be available as I am featuring a nationally produced (huge quantity) wine. Stay tuned. BTW. When I say “no longer available” I mean the particular vintage. Subsequent vintages (same wine different year) may well be. If there is a particular wine that interest you let me know and if I have any in my cellar, I’d be happy to send it to you. I love to share my finds. You are so kind! What a dear to offer. Thank you.